We collected the majority of metadata history records for Webnotwar.ca. Webnotwar has an elaborated description which rather positively influences the efficiency of search engines index and hence improves positions of the domain. Webnotwar used to have no keywords and description in 2011 which is the starting point of our analysis, but they were both added to the domain’s metadata on December 20, 2017. 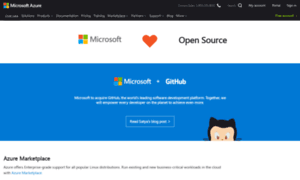 Visit the open source center to discover more options on using open source software with Microsoft Azure.